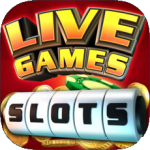 Slots LiveGames contains our best slot-machines such as Snow Queen, Serets of Aztecs, Alaska’s Gold and many more. Poker LiveGames is a well known Texas Hold’em poker with real opponents online. Dominoes LiveGames contains 4 types of game: classic and cross, dominoes goat and donkey with real opponents. Bura LiveGames contains 2 types of game with real opponents: Bura and Burkozel. Nine LiveGames is a great game for the development of logic and attention. 3 types of game inside: Nine (36 cards), Seven (52 cards), Five (40 cards). Thousand LiveGames is apopular card game in the countries of the former Soviet Union. In this app you can play with three players. Goal of the game is to dial 1001 points first. Clabber LiveGames contains 4 types of game with real opponents: for 2 or 3 players, up to 301 or to 501 points. Checkers LiveGames contains 3 types of game with real opponents: checkers, corners and suicide checkers. Preference LiveGames contains 2 types of game with real opponents: preference and blitz preference. Joker LiveGames contains 2 types of game with real opponents: for 2, 3 or 4 players, classic and quick game modes. Bridge LiveGames is an intellectual pair and team game with real opponents. Chess LiveGames is a board logical game with real opponents.